Beats & Pieces Big Band take the big band sound to places it’s never been before, with a distinctive blend of rocking energy and precise dynamics, infectious floor-filling rhythms and widescreen arrangements, and generous individual freedom and tight collective interplay. Embracing modern textures and techniques while acknowledging and celebrating their big band lineage, they’ve earned a reputation for a joyful interaction between audience and band, with songs to make you think, dance, laugh and cry. This exciting ensemble led by composer/conductor Ben Cottrell boasts 14 musicians, many of them bandleaders in their own right, with each player’s distinct musical background and individual voice being key to the collective band identity. Now in their eleventh year, Beats & Pieces are a rarity in keeping a fairly consistent lineup for so long – especially remarkable for a group this size. Such is the level of trust and friendship across the group that they perform entirely from memory, effortlessly switching between super-tight ensemble playing and generous soloistic expression in the same way as a trio or quartet. A driving force of the vibrant Manchester music scene and one of the most striking ensembles of its kind, the group continues to win new fans and friends across Europe and beyond. 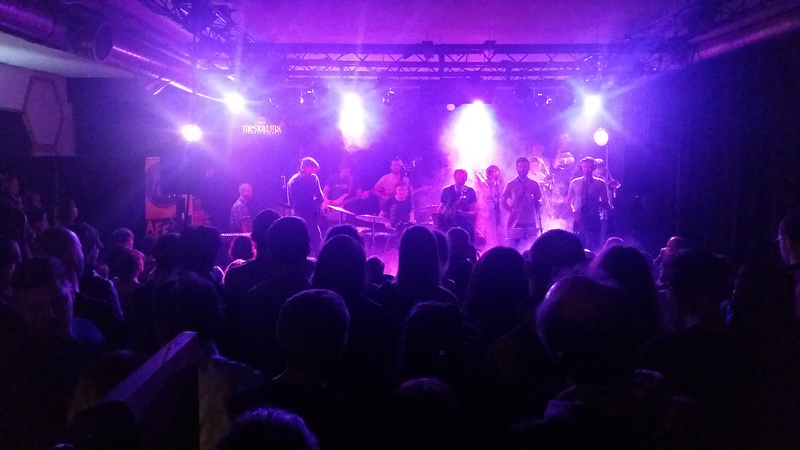 Beats & Pieces is not an average ‘big band’ – rather a band that’s big. Large ensembles are by their very nature extremely difficult to sustain, financially and logistically – you can support us by joining us backstage, or if you’d like to help in any other way please do get in touch!